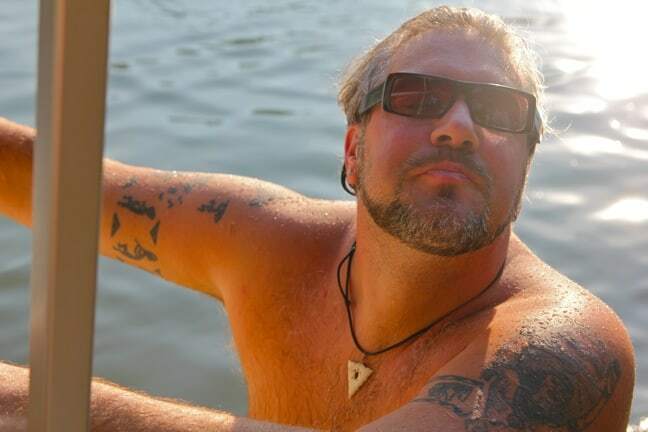 Some of my favorite memories of my childhood, growing up in metro Atlanta, are of “staycations” at the cabin my grandparents bought on Lake Hartwell, which is located in North Georgia on the South Carolina border. It was only 90 minutes from our house, but it felt like a completely different world. I’d spend anywhere from a week to a month there every summer, usually with my grandparents (who were retired by that point) and often with my younger cousin Jon along as well. The “cabin” wasn’t fancy– just a trailer onto which we’d built a screened-in porch– but we had our own dock, our own boat, and plenty of Mother Nature’s beauty to explore. It’s been more than 20 years since I last visited Lake Hartwell, but the memories are so fresh they could’ve happened yesterday. I remember Jon and I running loudly across the dock, yelling at the top of our lungs, trying to scare off any water moccasins that might be lurking below. I remember being fascinated by the frogs, turtles and garter snakes we’d inevitably find near the water. I remember diving into inner tubes that reeked of rubber, then spinning around in circles until we got dizzy, watching the world go by. And I remember the sounds at night, as the calls of frogs and cicadas serenaded me to sleep after a long day in the sun. But even more powerful are the memories of the time I spent with my family. Going for long walks with my Granny to pick wild blackberries that grew along the road, then making pies and cobblers as we nursed our chigger bites. Learning from my Granddad how to drive a boat and water ski. Going fishing with my dad and uncle Steve, and watching in morbid fascination as they prepped our catch for cooking. Sitting on the swing in our yard with my grandfather as we grilled supper, laughing at his tall tales, and watching Hee-Haw on our tiny television on the porch. From a childhood that was often very difficult, these are the family memories I continue to treasure. It’s been said many times that life moves very quickly, and its passage only seems to accelerate with age. 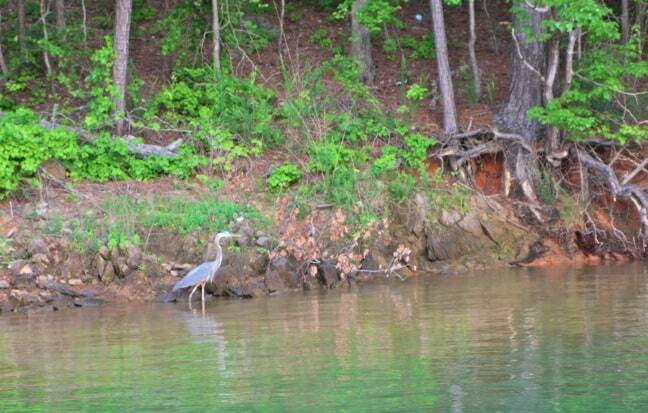 My grandfather has been gone for 15 years now, my grandmother passed away in 2009, and the cove in which our Lake Hartwell cabin was built hasn’t had water in decades thanks to the Army Corps of Engineers. So perhaps it’s no surprise that, when Mary and I were both working full-time back in 2009, we decided to buy a used pontoon boat so we could spend more quality time together as a family. We didn’t know that the economy was going to crash, that Mary’s company would get bought out and she’d be laid off, or that we’d start an ecotourism website that would take us to places we’d never dreamed of. 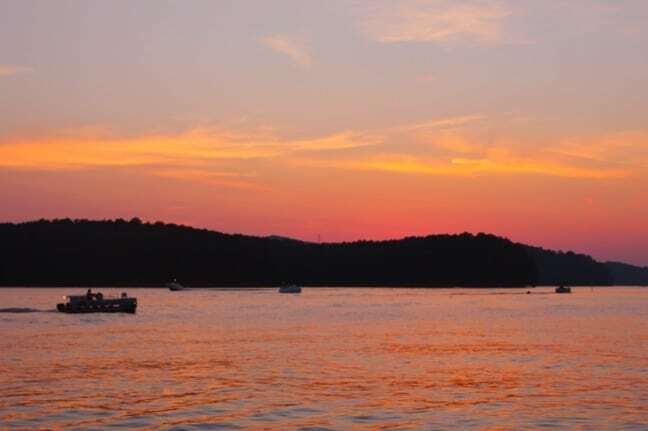 All we knew was that my daughter was growing up fast, that we loved spending time at the lake, and that having an inexpensive boat would allow us to take frequent “staycations” at Lake Allatoona, which is located about 20 minutes from our house. Though we debated the investment for some time, it was honestly among the best decisions we’ve ever made. Mary and I have never even considered learning how to be a nomad like our friends Barbara Wiebel of Hole In The Donut or Eric and Karen of Trans-Americas Journey. We have a home, our dog Huckleberry (pictured above), and a soon-to-be-11-year-old daughter who’s with us half the time, for one. For another, travel (especially for those who do it professionally) can be exhausting, especially when you have other responsibilities you’re constantly trying to juggle at the same time. And lately, with my daughter fighting off bronchitis and about to start middle school, me fighting to get my health on track, and money being tighter than ever, our little “staycations” have provided an absolutely necessary break from the day-to-day headaches. There really is something to be said for “getting away from it all,” even if you’re only going 20 minutes from your house for a few hours. This weekend, after a brutally stressful week, the sun, exercise, peace and quiet of the lake was like a soothing salve for my soul. We saw turtles, butterflies, dragonflies, herons, greater egrets and red-shouldered hawks. We cooked fresh, healthy foods on the grill and ate them outside, in the fresh air. We watched two absolutely glorious sunsets. It was a slice of heaven.